Class 5c gravel is a wonderful alternative to class 5 gravel. What makes it different? The answer to that is simply C. C is for concrete which is crushed into an aggregate of suitable size and used in the place of natural aggregate. Class 5c gravel seems to pack more firmly than natural aggregates providing a very stable layer to build on. One interesting thing about class 5c is how it acts on a pile. The layering is immediately apparent upon first glance. Take a few steps back from the pile and you’ll notice the sharp vertical walls of the pile. 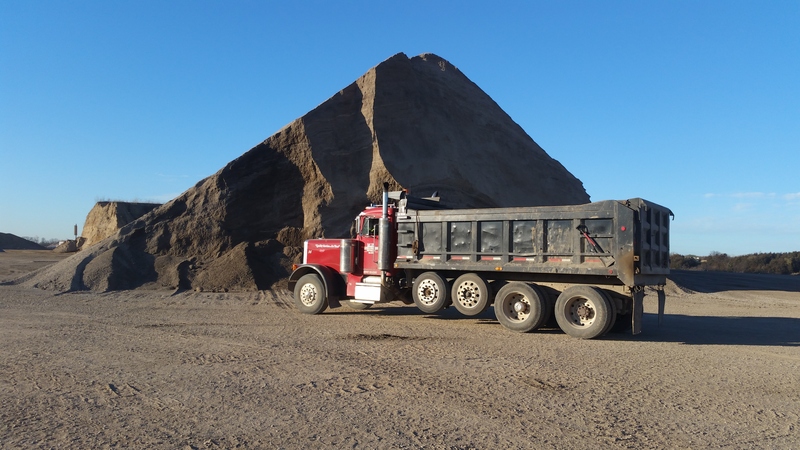 This is dramatically different than a natural aggregate pile which tends to flow and fill in when you remove a scoop with a loader.